First up and the best facial I have ever had was hands-down (excuse the pun) Anne Semonin in Paris. This was a #carolinehironsmademedoit discovery as she recommended it on her blog. I think facial massage is a game-changer and I went in there with a headache, uneven skin tone and a dull complexion and emerged glowing, sans headache. The facial came with what many would consider to be a hefty price tag (+£100) but it was my 30th birthday, my mum’s 60th birthday (she got one too), I was in Paris, I could keep on justifying this… Anne Semonin has been in the business since the mid-eighties and the focus is on high-end luxury and enhancing radiance which is exactly what I got and for me worth every penny. It’s perfect for a lunchtime fix or pre-event as there’s no down time. The basic treatment above is about £35 and you can add on additional treatments like a peel or mask. The Light Salon has really built a following in the 3 years it’s been going and you can now get ‘lit’ at Harvey Nichols London, Hershesons, and Cowshed. Last, but by no means least, ain’t nothing wrong with an at-home facial: cheaper, you can wear your pyjamas and no strangers touching your face. The beauty industry’s come a long way and you can get your hands on affordable products that give great results. 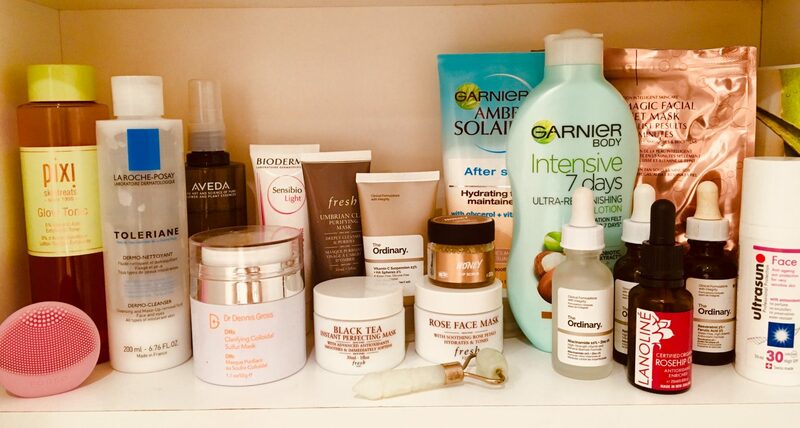 I love Dr Dennis Gross (Alpha Beta Peel Pads), Fresh (Rose Petal or Black Tea Mask), Pixi (Glow Pads, Glow Mud Mask) and a Simple Skincare sheet mask thrown in for good measure. Whether you spend three digits or one, a facial is a great excuse for self-care and to take time for yourself- something which should never by underestimated. Previous Previous post: Why start a blog now?